Simple, clean, with a brand-name you can trust. The easy fit and comfortability of this shirt makes it a popular pick. "The only thing was that I wanted the design on the front right shoulder and it wad put on the left. When I approved the design it did say left centered but I thought that meant looking at it. No problem. They look great." "Turned out great, it was a great gift, I was worried it wouldn't turn out but it did, thanks!" 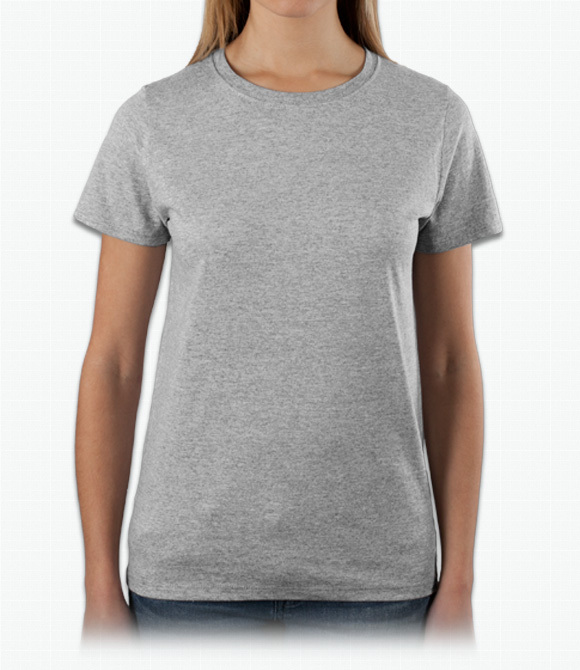 "The preshrunk ladies tee are a great selection and I am sure the tee will last."